Complete. 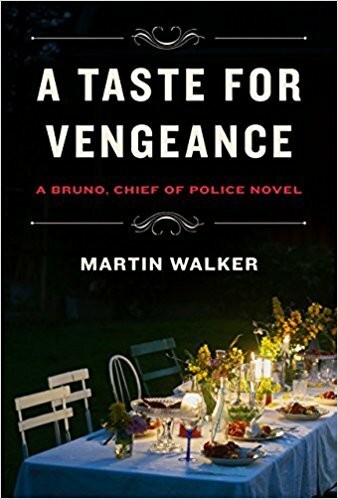 The thirteenth installment in the Bruno, Chief of Police series by Martin Walker is titled, A Taste for Vengeance. This time out, the Dordogne village of St. Denis revels in the success of girls’ rugby and is threatened by IRA criminals in the neighborhood. In the middle of everything is Bruno, who has gotten a promotion. What Walker does so well in this novel and in the series is allow readers to see this interesting protagonist in all aspects of his interesting life: as policeman, coach, cook, friend, lover, etc. During the course of the same day, we spend time with Bruno in each of those roles, and also caring for his dog and riding his horse. Make yourself something tasty to eat, pair a wine, and sit down to read this novel, or any of the ones in the series. Rating: Four-star (I like it) Click here to purchase A Taste for Vengeance from amazon.com.